Picture caption: ‘La Grande Illusion’ forms part of LIFF’s First World War programme. The beginning of the First World War one hundred years ago is being marked in an important programme of films and events at the 28th Leeds International Film Festival (LIFF), which opened last week. As part of its ‘War on Film’ programme, Testament of Youth opened LIFF28, which backed by Screen Yorkshire and filmed primarily in the region, is the first big screen adaptation of Vera Brittain’s iconic and powerful First World War memoir. A brand new digital print of Abel Gance’s rarely screened classic silent film J’accuse (1919) will also be presented with live organ accompaniment at Leeds Town Hall. 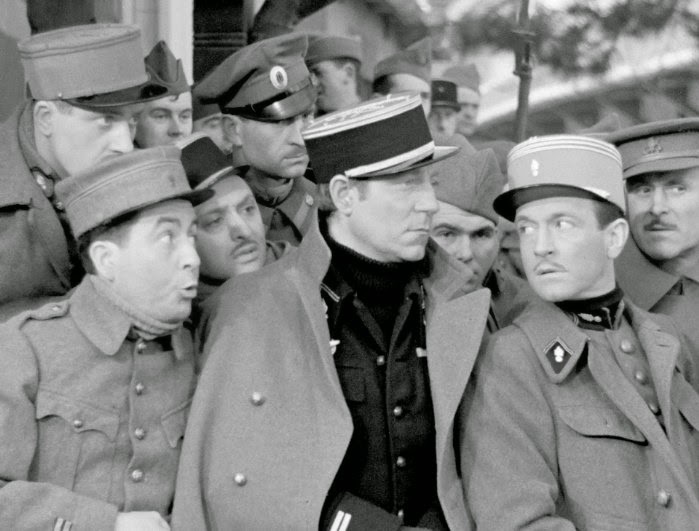 The beautifully made, epic melodrama is a passionate anti-war film set in France. The film tells the story of two very different men whose lives become entwined through the machinations of fate. Leeds International Film Festival’s first ever event at the Royal Armouries Museum provides a unique insight into the experience of WWI with Film on the Front Lines: British Propaganda from WWI. A free installation running from 9 to 20 November, it features rarely seen propaganda footage from the archives of the Imperial War Museum. Yuval Sagiv’s How I Filmed the War screens in Leeds Town Hall's Albert Room and explores the original 1916 documentary The Battle of the Somme, a filmed account of the tragic battle of the title. Jean Renoir’s poetic masterpiece La Grande Illusion (1937) has a strong claim as the greatest First World War film ever made, crafting a poignant drama of class divisions and of the camaraderie of war, and featuring an unforgettable cast of characters, all memorably portrayed by great performers including Pierre Fresnay and Jean Gabin. The 28th Leeds International Film Festival, which is open until 20 November, is the largest film event in the north, celebrating the best new and classic cinema from around the world with over 250 screenings during 16 days at venues across the city. Venues taking part include Leeds Town Hall, Hyde Park Picture House, Everyman Leeds, City Varieties, Belgrave Music Hall and Cottage Road. "The Leeds International Film Festival is an extremely significant event in our city’s cultural calendar, and in what promises to be something extremely poignant, a series of screenings will be shown to mark the beginning of the First World War one hundred years ago. "These will sit alongside a range of films on offer in LIFF28, offering something for everyone with a love and passion for movies. We’re incredibly lucky to have an Oscar-qualifying festival right here in the city so don’t miss out on your chance to enjoy what’s on offer."